Filling out new patient chiropractic paperwork from the comfort of their homes saves time! With the doctor’s names and dates readily available at home, new patients are more inclined to give you a more complete health history. With the online chiropractic paperwork downloaded and already completed, first visits are shorter and practice capacity is enhanced. Most patients appreciate being able to handle the inevitable paperwork at home without having to balance a clipboard on their lap! 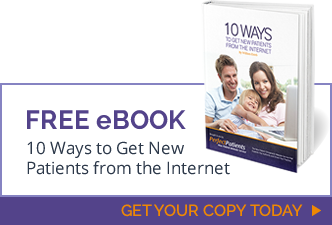 If your new patient didn’t come from the Internet, directing them to your website to download your online chiropractic paperwork is the perfect introduction to your website.